Lincoln, based in part on Doris Kearns Goodwin’s Team Of Rivals: The Political Genius Of Abraham Lincoln, sees director Steven Spielberg dramatising the 16th President of the United States’ final few months in office to varied results. In 1865, as the American Civil War nears its conclusion after four years of bloody combat, Abraham Lincoln (Daniel Day-Lewis) takes it upon himself to pass the landmark constitutional amendment and rid America of slavery: the main reason the war started in the first place. The script by screenwriter Tony Kushner focuses on the day-by-day minutiae of the long-winded political process Lincoln faced in mustering the votes needed to pass the 13th Amendment (John Hawkes, James Spader and Tim Blake Nelson portray three dishonest negotiators recruited to procure the winning votes). It also takes a tempered approach in illustrating the fraught relationship he shared with wife Mary-Todd (Sally Field, good but ultimately wasted) and his two sons, Tad (Gulliver McGrath) and Robert (Joseph Gordon-Levitt). Apart from an opening sequence set on the body littered battlefields, the action is mostly limited to the darkened rooms and hallways of the White House, where political debates and marital woes are thrashed out in long, drawn-out scenes. This approach allows Kushner ample time to accurately represent the various obstacles Lincoln had to overcome both politically and personally (his many speeches emphasise his unrivalled determination), yet often makes for an experience that’s overwhelming in its fixed mentality. The warmth conveyed through Day-Lewis’ spectacular performance as Lincoln helps in part to maintain the audience’s interest. 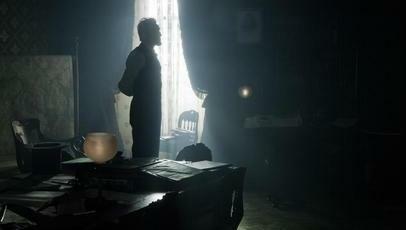 He believably imbues a dark humour to the character (matched to excellence by Tommy Lee Jones’ turn as Congressman Thaddeus Stevens) that brings with it a sense of relief in light of the dark and heavy mood – Janusz Kaminski’s cinematography appears washed out, drab and claustrophobic compared to the beautiful and comprehensive production design – that underscores the entire film. Under Spielberg’s direction, Lincoln is undoubtably an assured historical drama, yet much of what makes it thrilling can be more attributed to the performances than the overall execution. At 150 minutes, Lincoln is a tough, plodding watch, impeded by the withdrawn way in which it’s shot and the preposterous fact that the black characters are constrained to non-speaking roles for much of its entirety (it’s supposed to be about the abolition of slavery, isn’t it? ), meaning that when the final verdict is delivered, the emotional effect on the audience is lessened substantially. Daniel Day, and the rest of the cast is just amazing, but the one who I was most taken-away from was Spielberg, who plays everything safe, intimate, and very subtle. Something I haven’t seen from the guy in awhile. Good review.